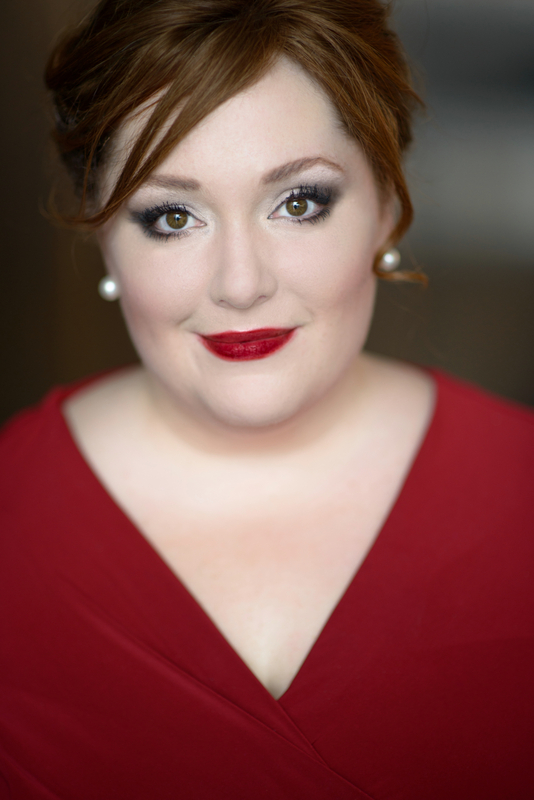 The young American dramatic soprano Heidi Melton has been called "the Wagnerian voice we have been waiting for since Flagstad and Nilsson" (La Presse), a voice that is "big, gleaming and tonally resplendent" (San Francisco Chronicle). Heidi Melton returned to the Deutsche Oper Berlin in two Ring Cycles in the 2013 – 2014 season: first as Gutrune and the Third Norn under Simon Rattle, then as Sieglinde, Gutrune, and the Third Norn under Donald Runnicles. She also debuted as Sieglinde under the baton of Zubin Mehta at Palau de les Arts Reina Sofía in Valencia. Ms. Melton sang her first SiegfriedBrünnhilde in concert with Opéra National de Bordeaux, as well as the "Immolation Scene"and "Liebestod" for Wagner concerts in Bordeaux and on tour in France. Ms. Melton debuted atNorth Carolina Opera as the Foreign Princess in a concert performance of Rusalka and in excerpts from Un ballo in maschera and Tristan und Isolde with the Alabama Symphony under Justin Brown. She returns to San Francisco for a recital with San Francisco Performances and pianist John Parr. In Karlsruhe, she was seen in new productions of Die Fledermaus and Un ballo in maschera, as well as revivals of Tannhäuser and Peter Grimes. In the 2014 – 2015 season, Heidi Melton will debut at Oper Frankfurt in two new productions: first as Gertrude in Hänsel und Gretel, then as Eglantine in Weber's Euryanthe. She also debuts at the Canadian Opera Company as Sieglinde in Die Walküre under Johannes Debus and will return to the Deutsche Oper Berlin as Elsa in Lohengrin under Donald Runnicles. She returns to the Baltimore Symphony for Strauss's Four Last Songs with Markus Stenz conducting, as well as debut with the Montreal Symphony Orchestra in Act 1 of Die Walküre under Kent Nagano and with Real Filharmonía de Galiciain Wagner's Wesendonck-Lieder under Paul Daniel. She will return to North Carolina Opera for concert performances of Act 2 of Tristan und Isolde as Isolde and make her New York City recital debut in Pace University's series "Voce at Pace." Ms. Melton recently had a successful return to the Metropolitan Opera as the Third Norn in the new Robert Lepage production ofGötterdämmerung under Fabio Luisi and subsequently returned for complete cycles of Der Ring des Nibelungen. Ms. Melton was a member of the ensemble at Badisches Staatstheater Karlsruhe where she sang new productions of Lohengrin as Elsa, Les Troyens as Didon, Venus/Elisabeth in Tannhäuser, Ellen Orford in Peter Grimes, as well as revival performances of the Marschallin in Der Rosenkavalier and Der Ring des Nibelungen. A favorite to the audiences in Berlin, she has been seen at the Deutsche Oper Berlin as Sieglinde in Die Walküre, Amelia in Un ballo in maschera, Fata Morgana in a new Robert Carsen production of Love for Three Oranges, Amelia in Un ballo in maschera, Gertrude in Hänsel und Gretel, Gutrune/Third Norn in Götterdämmerung, and Erste Dame in Die Zauberflöte. In concert, Heidi Melton made her Italian debut under Kirill Petrenko and Orchestra Sinfonica Nazionale della RAI in Torino as Gutrune and the Third Norn in a concert performance of Götterdämmerung. In the summer of 2013, Ms. Melton made her debut at the BBC Proms as Elisabeth in a concert performance of Tannhäuser with Donald Runnicles and the BBC Scottish Symphony Orchestra. She also returned to the Festival de Lanaudière in Québec singing Elsa in Lohengrin under Yannick Nézet-Séguin with his Orchestre Métropolitain and then to the Aspen Music Festival for a Verdi/Wagner program with bass-baritone Eric Owens and conductor Robert Spano. Other notable concert engagements for Ms. Melton included Act 1 of Die Walküre and Isolde's "Liebestod" with the Baltimore Symphony under Marin Alsop; Act 1 ofDie Walküre with the Dallas Symphony under Jaap van Zweden, with Donald Runnicles at the Grand Teton Music Festival, and with Runnicles again with the BBC Scottish Symphony; a debut with the Netherlands Radio Philharmonic Orchestra in Eine Lebensmesse by the Dutch composer Jan van Gilse under Markus Stenz; Soprano 1/Magna Peccatrix in Mahler's Symphony No. 8 ("Symphony of a Thousand") at the Aspen Music Festival under Robert Spano; Rossini's Stabat Mater with the San Antonio Symphony; Santa Fe Concert Association in an all-Wagner program with tenor Brandon Jovanovich; the opening the 33rd Season of the Festival de Lanaudièrein a gala concert singing excerpts from Wagner's Tannhäuser and Die Walküre; and Verdi's Messa da requiem for Donald Runnicles' farewell concert as Music Director of San Francisco Opera. Ms. Melton opened a special gala celebrating 100 years of the Deutsche Oper Berlin in October 2012 singing Elisabeth's Greeting to the Hall of Song. Highlights of recent notable engagements include her debut at the Metropolitan Opera as the Second Maid in Elektra under Fabio Luisi and her role debut as Sieglinde in Der Ring des Nibelungen at San Francisco Opera in a production by Francesca Zambello and conducted by Donald Runnicles. At Opéra National de Bordeaux, she has been seen as Ariadne in Ariadne auf Naxos, Elisabeth in her first performances of Tannhäuser, and Amelia in Un ballo in maschera. A former Adler Fellow at San Francisco Opera, Ms. Melton has performed a variety of roles including Mary Todd Lincoln in the world premiere of Phillip Glass's Appomattox, Marianne Leitmetzerin in Der Rosenkavalier, and Dianne in Iphigénie en Tauride. As a 2006 participant in the Merola Opera Program, she performed Amelia Grimaldi in scenes from Simon Boccanegra. In recital, she has made her Schwabacher Debut Recital through the San Francisco Opera and a recital for the Jussi Björling Society in Voxna, Sweden.